Anyway, I want to share my simple recipe of Caesar salad. I made Caesar salad yesterday as my dining food. 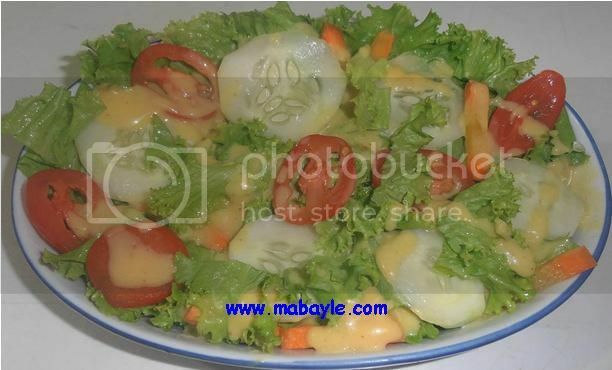 I used my simple recipe to make this salad. I put lettuce in a bowl, 1 piece of tomato, 1 piece of pepino, a little bit of carrots and a little bit of cheese I also mixed the ingredients. And then I put the dips n’ dressing Caesar to make it tastier. This is my simple recipe.